THIS is your reset button. Your self care, self love, treat-yo-self vacay. 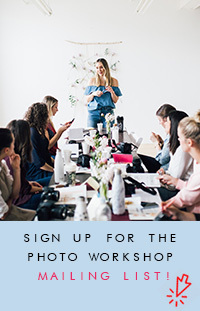 I'm so excited to announce that I'll be joining Lynette Suchar in the Mayan Riviera at the beginning of February at her yoga retreat to share a photography workshop. Warm blue water. White sandy beaches. Private chef. Yoga every day. Photography workshop. Sunsets. Sipping on a freshly cracked coconut. The best yoga instructor. Sunrises. Friendship. Creativity. SUP (Stand Up Paddle boarding). Snorkelling. Meditation. Palm trees. Ocean kayaking. Ancient ruins. Coral reefs. All of it just for you. For an entire week. So, who is Lynette Suchar? Well. Lynette and I met about 4 years ago over the internet. Two years ago we finally met in real life. We totally fell in friend love. She's sweet and soft and so kind. She's a foodie. She loves photography and I guess it goes without saying - we like a LOT of the same things. Lynette specializes in restorative yoga (which is my favourite kind of yoga). She's a prairie girl, lives in Saskatoon, and every year she stays with me on the weekend of Prairie Love Festival. She's been teaching at the festival every year and is always a favourite. Lynette has roots in Mexico, having lived there for the better part of a year about a decade ago. There are 13 spots available and I cannot wait to hang, create and connect with you all. If you're itching for a new experience, some time to stretch your body and heart, then just do it. Hop on a plane and come hang with us. It's going to be awesome. CLICK HERE for a link to the Retreat Facebook Group.